Romance Luck | Sana Ako si Ricky Lee! Fulfill Your Wishes and Get Blessings from the Buddhas with the ‘Wish Fulfilling and Buddha’s Blessing Mantra Pendant’. A few weeks ago I talked about a new pendant that I designed. At that time I called it the Full Mantra Pendant. After several weeks of back and forth with my jeweler that includes some revisions in the design, I finally got the first WISH FULFILLING AND BUDDHA’S BLESSING MANTRA PENDANT. Unlike the WEALTH AND MASTER PROTECTION PENDANT which is designed primarily as protection from bad luck and the bad annual flying star, the WISH FULFILLING AND BUDDHA’S BLESSING MANTRA PENDANT is more of a luck enhancer. 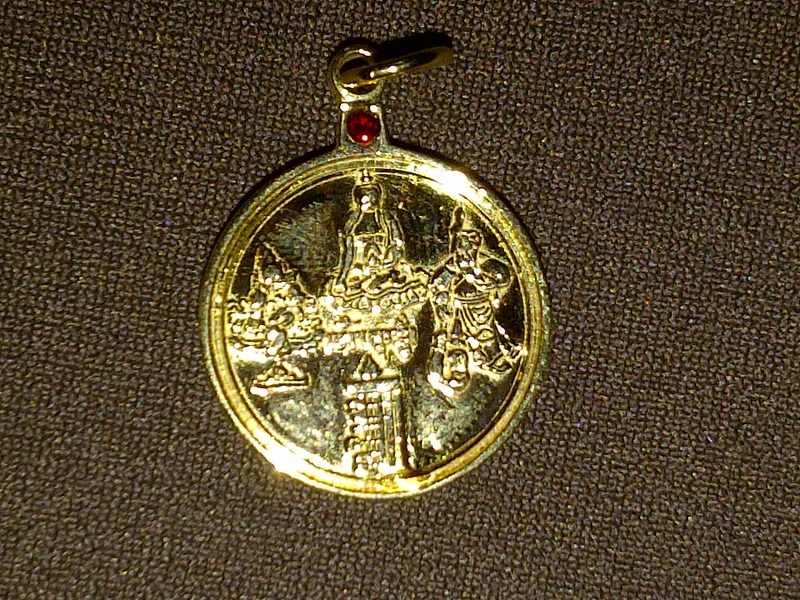 Back side of the WEALTH AND MASTER PROTECTION PENDANT. 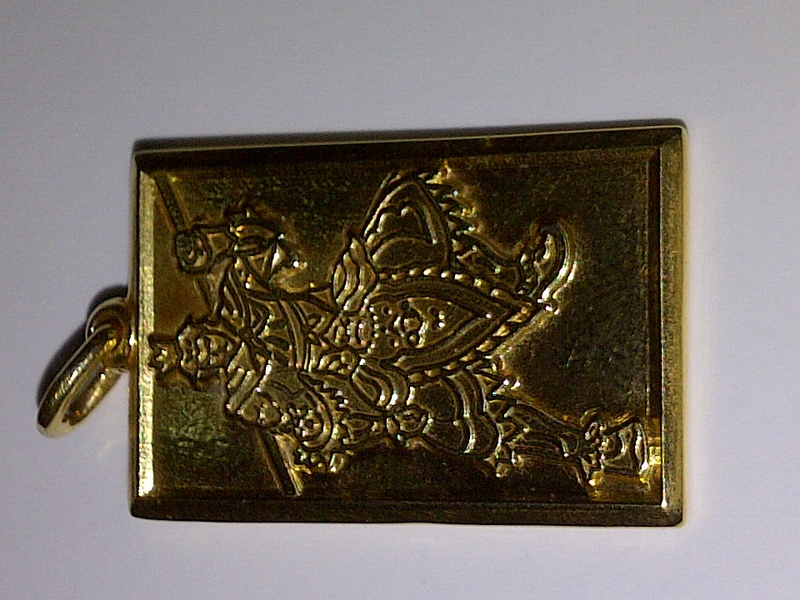 The difference is that the first is more of a ‘cure’ and the wealth aspect is incidental because of Sun Wukong, the second pendant is more of a enhancer that is designed to tap into the blessings of the various Buddhas and Buddhist symbol. Furthermore, I’m really happy, because of the lesson learned from the first pendant, I had the foresight to make it smaller thus it is a lot more affordable than my first pendant. Unfortunately, the photo that I took is not really clear. 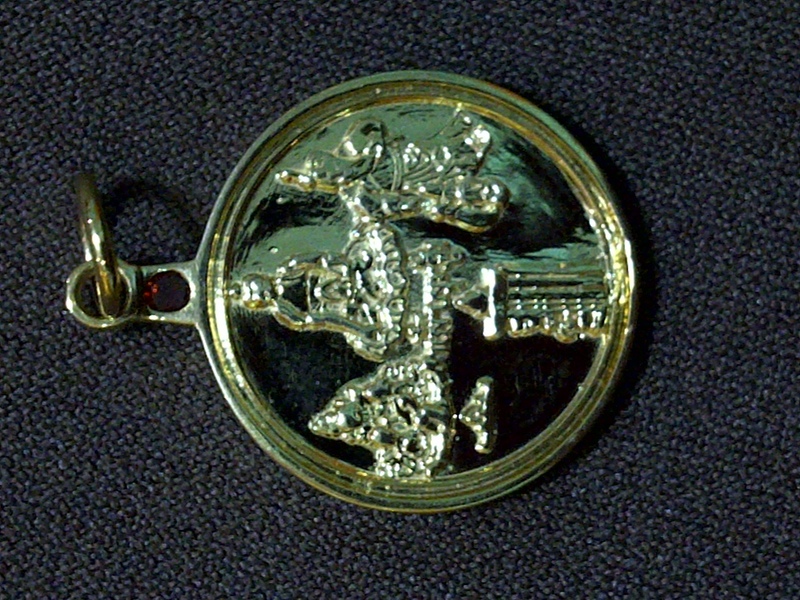 The front of the WISH FULFILLING AND BUDDHA’S BLESSING MANTRA PENDANT has the images of the Medicine Buddha, Kuan Kong, Yellow Dzambhala, Kalachakra Symbol, and the Symbolic Script OM AH HUM. 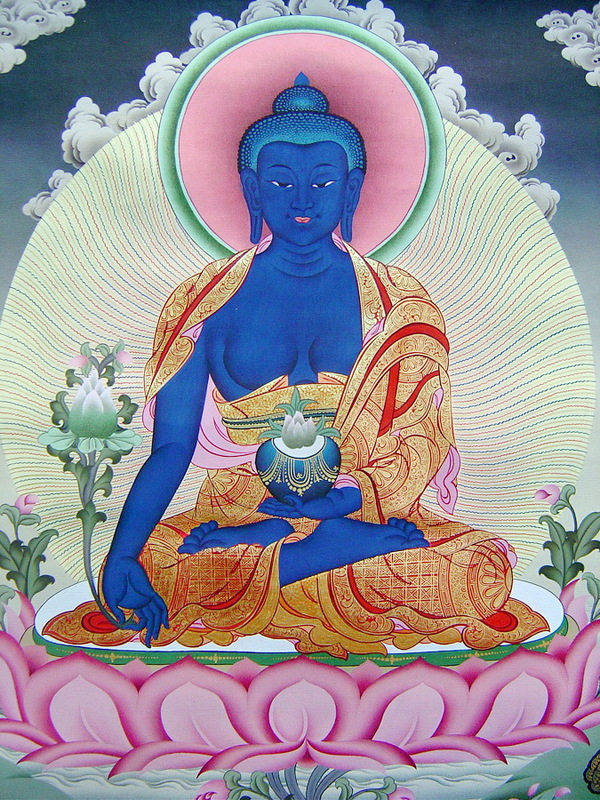 IMAGE OF MEDICINE BUDDHA, which showers us with the blessing of health luck. 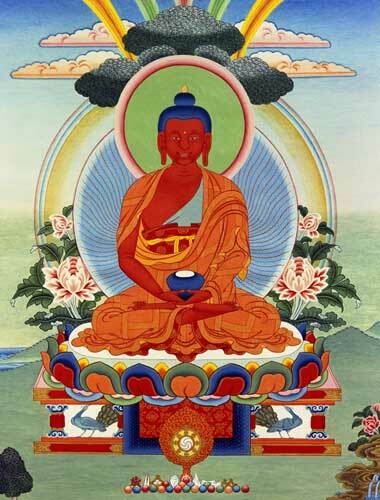 Furthermore, the Medicine Buddha is also a Buddha that bestows harmony. Read my post about the Medicine Buddha by clicking here. 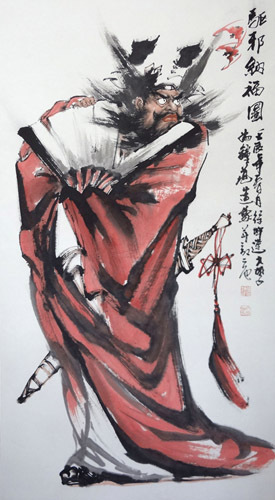 IMAGE OF KWAN KONG (also called or spelled as Kwan Kong, Guan Gong, Kwan Ti, Guan Ti, Kwan Yu, Guan Yu), a Bodhisattva that bestows mentor’s luck to provide with people that will help us to pursue our goals. 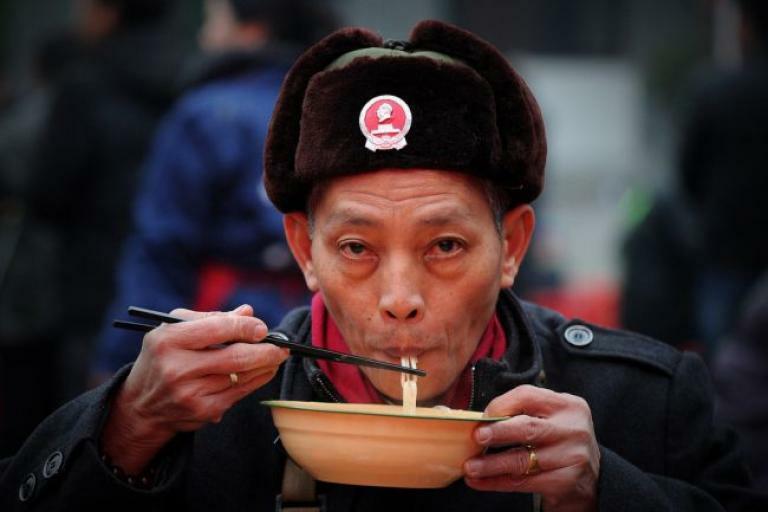 Kwan Kong also is bestows business luck. 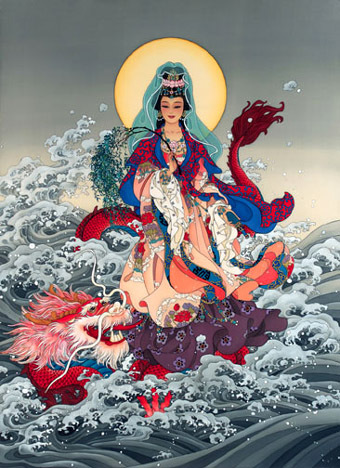 Furthermore, Kwan Kong is also a very powerful protection deity. You can read more about Kuan Kong by clicking here. IMAGE OF YELLOW DZAMBHALA, a powerful Buddhist wealth deity that emanated from the Buddha of Compassion. Having his image constantly around us will bestow upon us wonderful wealth blessing. It also helps if you can recite his mantra – OM DZAMBHALA DZALIN DRAYE SOHA. 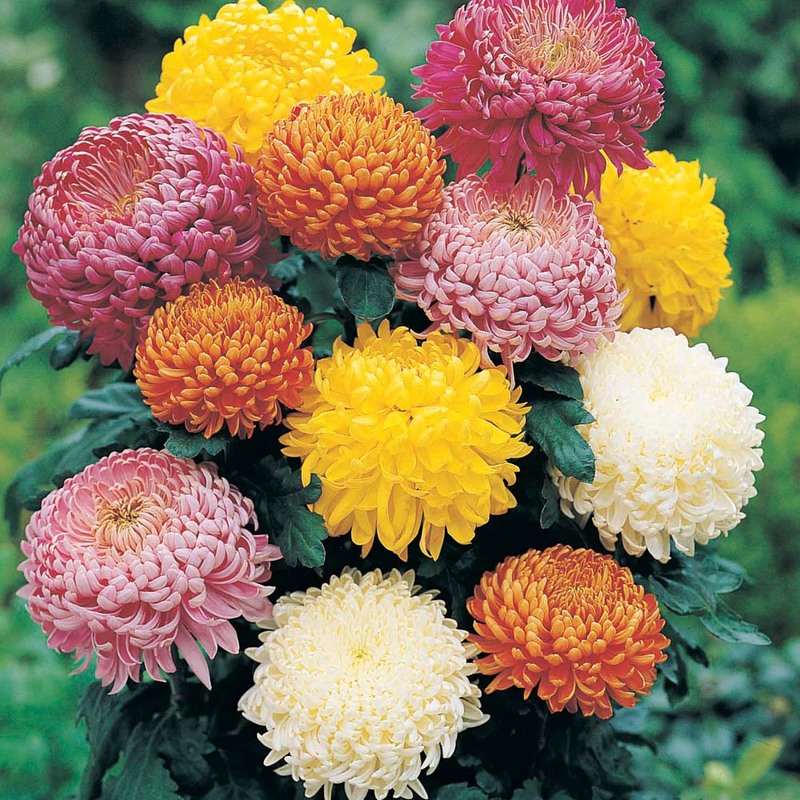 To know more about Yellow Dzambhala you can read my post entitled INCREASE YOUR WEALTH BY PAYING HOMAGE TO YELLOW DZAMBHALA. IMAGE OF KALACHAKRA, which is a very powerful protection, ten syllable mantra compressed into a powerful image. It bestows upon us the blessing of safety. The Mantra of Kalachakra is HO HAM KSHAMALA VARAYA HUM PHAT. THE SYMBOLIC SCRIPT OF THE MANTRA OM AH HUM. I included this because the Kalachakra mantra is seldom recited without saying the OM AH HUM, making the complete Kalachakra Mantra – OM AH HUM HO HAM KSHAMALA VARAYA HUM PHAT. OM AH HUM also cleanses us from the immediate light negative karma that we acquired with our speech, thought and deeds. 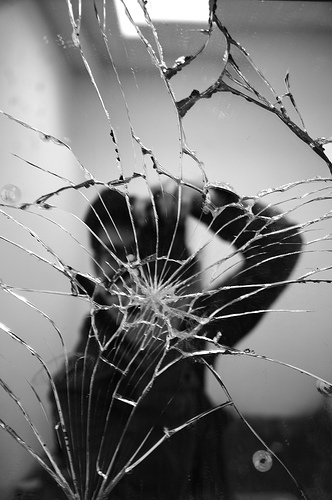 This negative karma may become hindrances for us to receive blessings. OM AH HUM is also known as the Protection, Environment Purifying and Immediate Negative Karma Cleansing Mantra. 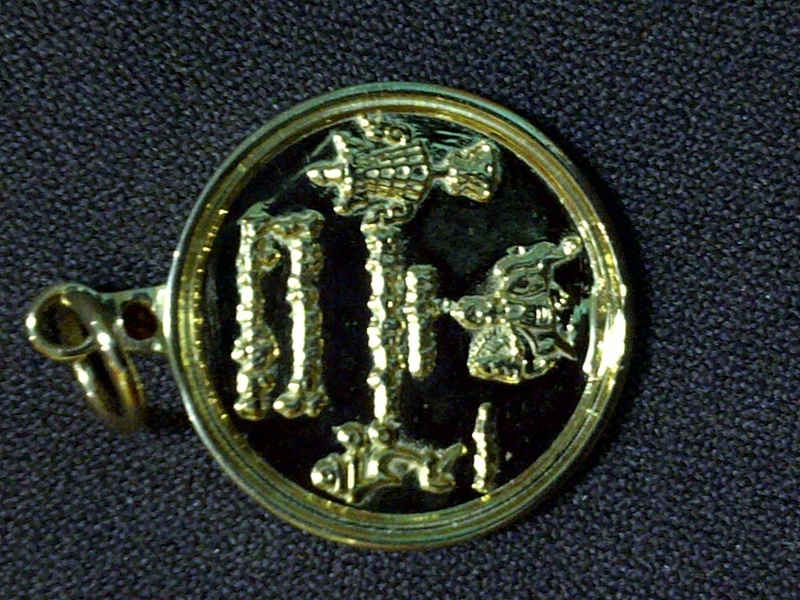 The back side of the WISH FULFILLING AND BUDDHA’S BLESSING MANTRA PENDANT has the images of the Victory Banner, Lung-Ta or Windhorse, the seed syllable of the Goddess Tara – TAM, and the symbolic script of the MEDICINE BUDDHA MANTRA, WISH FULFILLING MANTRA, and the NEGATIVE KARMA CLEANSING MANTRA. THE SYMBOLIC SCRIPT OF THE MANTRA MEDICINE BUDDHA that I made sure is included here because I believe health is the best luck we can receive. 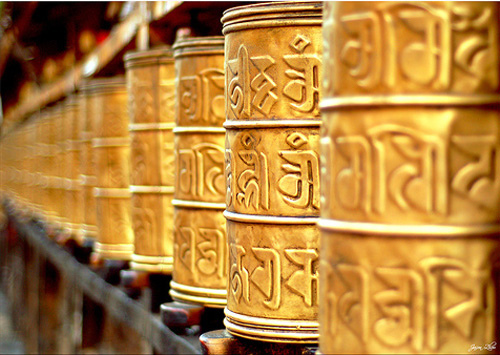 Also included are two of the most powerful mantras the WISH FULFILLING MANTRA and the NEGATIVE KARMA CLEANSING MANTRA. THE SYMBOLIC SCRIPT OF THE WISH FULFILLING MANTRA OM PADMO USHNISHA VIMALE HUM PHAT which is a very powerful mantra that has the ability to bestow upon us all the good things, material or otherwise, that we wish to receive. THE SYMBOLIC SCRIPT OF THE NEGATIVE KARMA CLEANSING MANTRA OM HANU PHASA BHARA HE YE SOHA a powerful mantra that cleanses us from the blockages we get out of the grave sins we did and/or negative karma from previous lives. THE IMAGE OF VICTORY BANNER a powerful Buddhism and Feng Shui symbol that bestows upon the blessing of success in all our endeavors. You can read more about the Victory Banner in one my earlier posts called THE VICTORY BANNER: A POWERFUL FENG SHUI TOOL FOR CAREER SUCCESS. THE SEED SYLLABLE OF THE GODDESS TARA – TAM. 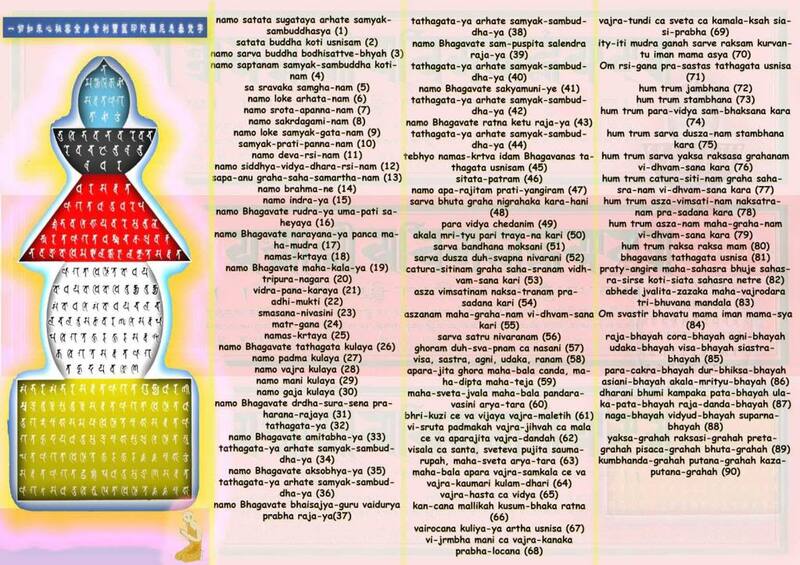 A seed syllable is used if putting or reciting the whole mantra of the Buddha or Bodhisattva is impossible. Goddess Tara or Green Tara is called the Swift Liberator, it is said Green Tara bestows the blessings of liberation from worldly hardship. She also bestows children to childless couples, romance luck for single people. Goddess Tara’s mantra is OM TARE TUTTARE TURE SOHA. THE IMAGE OF LUNG-TA OR WINDHORSE, which is a symbol of good fortune and well-being. The Lung-Ta also carries the ‘Wish Fulfilling Jewel of Enlightenment’ that bestows upon us the blessing of success through wisdom and knowledge, which in turn bestows the blessing of career and professional advancement. It is also a powerful symbol to have a very successful business life. All entrepreneurs, businessmen will greatly benefit from the image of Lung-Ta. If you wish to know more about MANTRA or SYMBOLIC SCRIPT you can read my previous post MANTRA: THE INSTRUMENT TO TAP THE POWER OF SYMBOLIC SOUND, SCRIPT AND THOUGHT. Please read about a reader’s experience or personal testimony about the WISH FULFILLING AND BUDDHA’S BLESSING MANTRA PENDANT by clicking here. 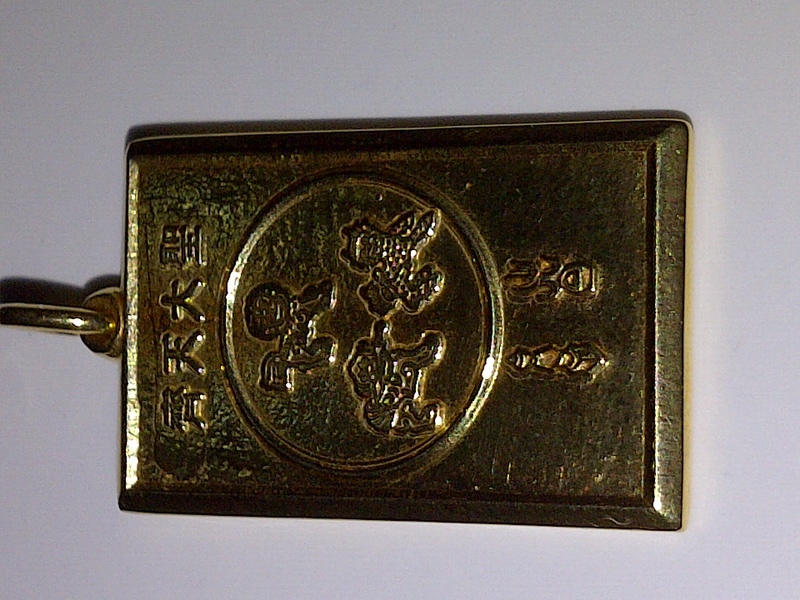 The WISH FULFILLING AND BUDDHA’S BLESSING MANTRA PENDANT is a pendant I design for my and my family’s personal use. However, when I posted it here on my blog, people started requesting for it and since then there has been a tremendous amount of testimonials about how it brought some wonderful blessings to the people who wears it. Some of the testimonies are outright miraculous, while some has a gradual experience of changed in their life.